As the clock ticks down on the Bring Back Mystery Science Theater 3000 Kickstarter—still more than a million dollars short of its ultimate, $5.5 million goal, which would bump the revived series from the current order of nine shows up to a full, 12-episode season—creator and attempted TV resurrectionist Joel Hodgson is pulling out all the stops to push his baby over the finish line. 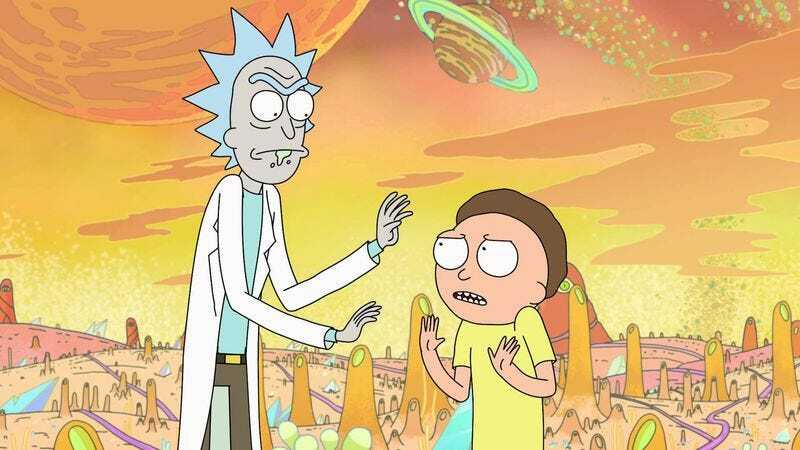 Having already announced a nerd-star-studded telethon to close out the campaign, Hodgson has now revealed a host of guest writers—including Community’s Dan Harmon and his Rick And Morty co-creator, Justin Roiland—who’ll be contributing their snarky acumen to the captives of the Satellite Of Love. Besides Roiland and Harmon, who are no strangers to pop-culture-laden sci-fi nonsense, Hodgson has revealed that comedy writer and future Lego Movie director Rob Schrab, as well as Planet Of The Apes fanatic and former Simpsons scribe Dana Gould, will be penning riffs for new host Jonah Ray and his robotic companions to lob at the unfeeling theater screen. (Hodgson also hinted that Gould might appear on camera; the show’s list of celebrity cameos will apparently be released Thursday.) From the literary world, meanwhile, The Name Of The Wind’s Pat Rothfuss is on board, along with Ernest Cline, of the bestselling reference-encyclopedia-masquerading-as-a-novel, Ready Player One. All of these big names are being referred to by Hodgson and his team as “guest writers,” so it’s not clear how many riffs they’ll be contributing to the new episodes. Hodgson also clarified that he has a dedicated writing team on hand, mostly drawn from people he’s met in the years since he first left the show in 1993. (New stars Ray, Felicia Day, Patton Oswalt, Baron Vaughn, and Hampton Yount will also contribute lines, as per series tradition.) The new series will also feature lines scripted by Kickstarter backers, some of whom have pledged as much as $10,000 to put their words in Crow T. Robot’s bifurcated bowling pin of a mouth.